I’ve been thinking a lot about my family lately, especially everyone back in Colombia, many of whom I haven’t seen since I was kid. And so, all these thoughts brought me back to my childhood and all the crazy things we used to do, and I say crazy because that’s exactly what they were. The funny thing about being poor is that you find fun things to do in the most unexpected places. One of those places for us was Medellín’s old airport, Enrique Olaya Herrera, which is located in the south west side of the city. 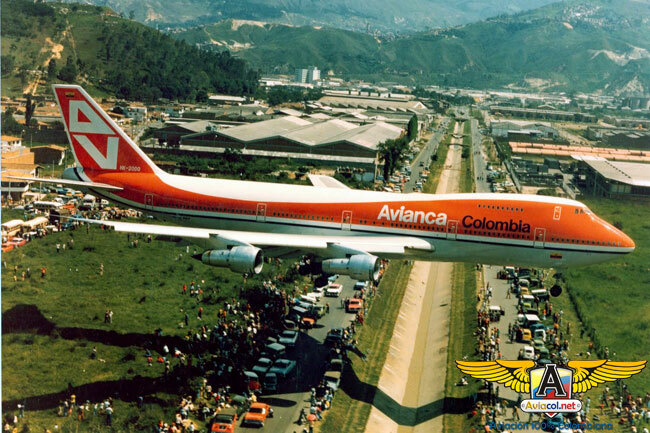 Up until the early 80s this airport was one of Colombia’s international airports, so you would see the most amazing, humongous planes take off and land right above your head. I grew up listening to the loud jets of planes flying above us, many times having to stop a conversation to wait for the noise to die down. 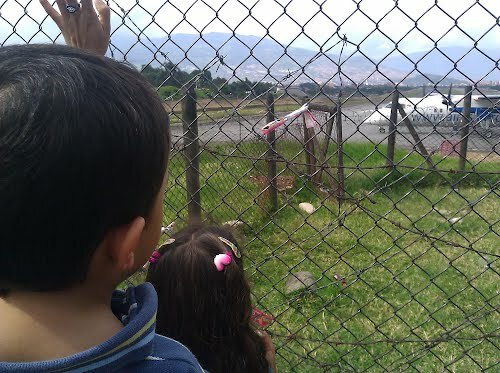 The best part about living so close to the airport was going to see the planes take off on the weekends because the airport’s runway is right next to one of the busiest streets in Medellín separated by a simple wire fence. Back then, people would try to get there early to grab a good spot since going there was one of the most exciting things you could do, for free. My cousins and I would scout the place and try to choose the best spot which had to be right behind the back of the plane before it would take off. We would then wait anxiously to see what kind of plane was coming down the runway, was it big or was it small? If it was a small plane we would just sigh in disappointment and wait for the next one. If it was a big plane we would all run towards the fence and start counting the minutes until its big jets would be right in front of us. We would hold on to that fence as tightly as we could and look at each other with nervous laughter since we knew what was coming. The plane’s jets would start getting louder and louder and the smell of burned gasoline would be all over us while our parents would yell as loud as they could saying “Be careful!” “Don’t let go!” But we couldn’t hear them and we honestly didn’t care about what they were yelling because we were all too excited about what was about to happen. First, we would feel the hot air from the jets all over our faces, mixed with all kinds of fumes and dirt that would swirl all around us and then we would start feeling the wind getting louder and stronger as the plane started to get ready for takeoff . The best part was trying our best not to get blown across the street as the plane took off. We would yell, scream, laugh and even my younger cousin, Elkin, would say all kinds of obscenities that no eight year-old boy should be allowed to say. This whole experience would only last a few minutes but it was the best feeling ever. And once it was over, we would all go back to where our parents were and wait for the next plane. Since then, the international airport was moved to a different place close to Medellín but far away from the city itself. The Olaya Herrera airport is still in operation but for smaller planes and for national flights. The grass hill where we used sit to watch the planes take off has since been renovated and there are even benches for you to sit and watch the scenery. I went back a few years ago and the experience was not the same as it was when I was a kid. The planes were smaller, the place was more organized and I was all grown up, so the thrill was gone. And then, I saw one of those small planes come down the runway, the pilot waved hello and as soon as the plane was in position he revved up his small engines and we were all trying to take cover as we watched it take off. And for a few seconds he brought me back to my childhood and the wonderful memories I have of Medellín.